Sony PS3 gets HD movie downloads | What Hi-Fi? Along with Germany, Spain and France, UK PS3 users can download feature films directly to their consoles for immediate enjoyment. Sony says users have a choice of more than 800 film titles from a wide range of studios – both new releases and back catalogue titles – including 20th Century Fox, MGM, Paramount Pictures, Sony Pictures, Universal, Warner Bros, Lionsgate and Disney. Films will be available for download as rentals or permanent purchases, with the option to download in standard definition or HD. Prices for download-to-own videos begin at £2.50. Films available include Harry Potter, Angels & Demons, Star Trek, Transformers: Revenge of the Fallen and The Dark Knight. 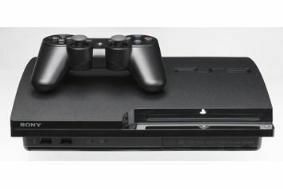 It looks as though PS3 owners won't have to wait long to watch their new purchases either. Sony is promising background downloads that you can begin watching soon after beginning the download process, meaning you won't have to wait for the entire file to download. Those who download a standard-definition film have the option of transferring it to Sony's PSP portable for additional viewings. However, if you opt for a 1080p HD movie, there's no provision for transferring a portable version of the file to a PSP. It's an exciting time for PlayStation owners, with the new firmware upgrade allowing Facebook integration and rumours of a forthcoming PS3-compatible version of Firefox from Mozilla.